Same Heavy Duty construction as the 20 quart over fence feeder but in a smaller convenient 6-quart size. Has molded in plastic bracket to fit snuggly into 2 in. to 4 in. rail. No tools necessary for mounting. 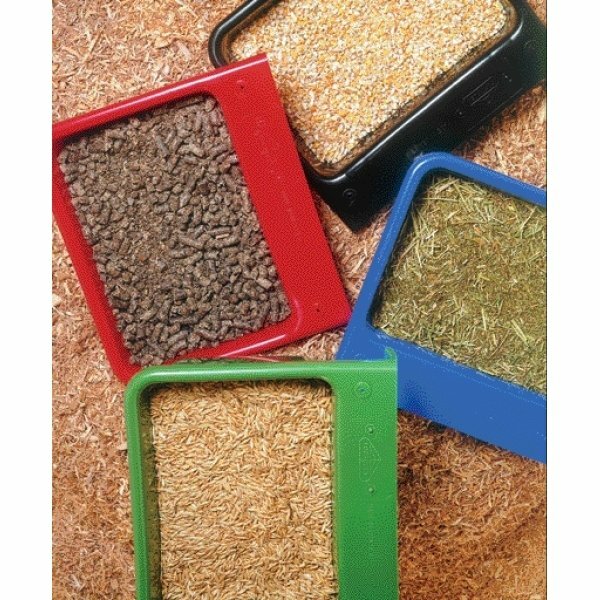 Over the Fence Livestock Feeder 6 qt has different options and/or variations, please choose below. Same Heavy Duty construction as the 20 quart over fence feeder but in a smaller convenient 6-quart size. Has molded in plastic bracket to fit snuggly into 2 in. to 4 in. rail. No tools necessary for mounting. Heavy-duty design and construction. Capacity markings in quarts and liters.